TEK-DEK is a superb alternative to wooden decking that can be applied to almost any surface including GRP, steel and timber. Non-slip traditional looking Tek-Dek is one of the original synthetic teak decking. Replacing the old wood deck on your boat or yacht? Use the P.V.C. 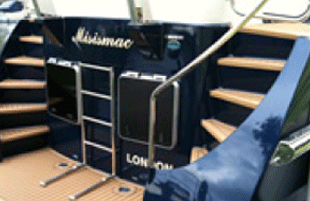 marine decking and flooring trusted by boating people worldwide. Tek-Dek provides fully UV stabilised, practically maintenance free, external decking solutions. We are the exclusive manufacturers of Tek-Dek decking and also stock adhesives suitable to secure our products. For over two decades Tek-Dek has been at the forefront of synthetic teak decking, producing products trusted by both professionals and DIYers alike. Our innovation, attention to detail and continual drive for the highest quality has made Tek-Dek the benchmark by which all others are judged.